Get warm and qualified b2b sales leads/appointments across Australia! You haven’t fully understood the concept of hot without wandering the Australian outback on foot. We’re not exactly daring you. 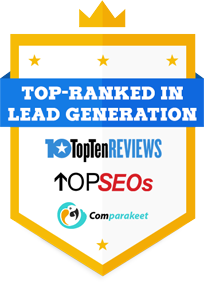 We’re just testing if you’re also that eager to acquire hot sales opportunities using quality lead generation, appointment setting and sales prospecting services. As things go in Australia, we concentrate on helping you find high-value business opportunities via qualified call lists. With a 14-year experience in the field, we are highly committed to sharing what we know about effective marketing and how we set about applying it. And that’s one dare we can never ever refuse. I want to thank each and every one of you for making our May 19th Launch a resounding success! Each of your contributions helped us to exceed our initial estimates on attendance, and drive what we feel will be a very good outcome from the ensuing follow up meetings. We had excellent participation from both our internal support teams and external partners. Our original goal for registration was approximately 80, which we hit right on the nose, and our expected attendees (excluding members of the press) was 40. We actually ended up exceeding that number by driving 57 pax, so excellent work by all!! From a press coverage perspective, we ended up with 10 members of the press joining our Press Briefing, which is fantastic! The group was made up of 40% customers, and 60% partners, which made for a very good split in the numbers. Some of our highlighted customers included: StarHub, Global Foundries, Bank of America, and Maybank Singapore to name a few. I want to give a special thanks to the following Partners: Callbox for driving 17 additional registered and confirmed attendees in the last two (2) days of the drive.